Clarksville, TN – What do you get when you mix a thunderstorm, a flat tire, a creepy castle, a mad scientist, a muscle hunk, an old professor and a couple of other questionable characters? A night out that is destined to be one you will never forget! Richard O’Brien’s cult classic “The Rocky Horror Show” returns to the Roxy Regional Theatre for a limited engagement, October 21st – October 29th. So, dig out your fishnets and sharpen those stilettos … that sweet transvestite and his motley crew are back for the fifth year in a re-imagined remount of this annual Roxy production. 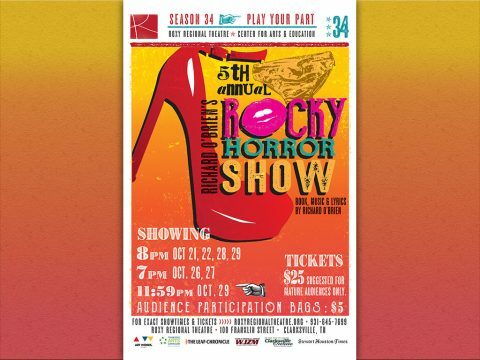 “The Rocky Horror Show” runs October 21st through October 29th, playing Wednesdays and Thursdays at 7:00pm and Fridays and Saturdays at 8:00pm, with a special midnight showing on Saturday, October 29th. 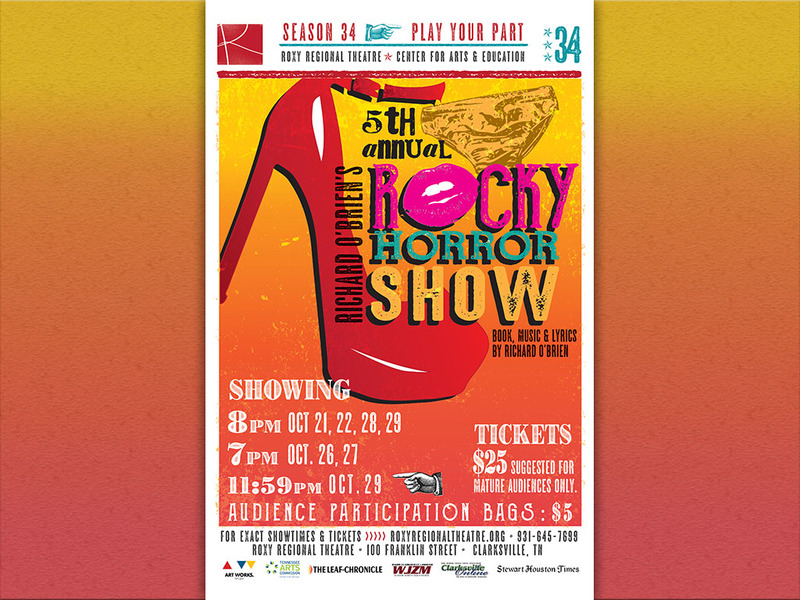 Friday, October 21st, is the traditional pay-what-you-can preview of “The Rocky Horror Show”. 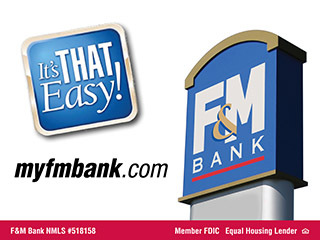 All tickets not pre-sold at the regular ticket price will go on sale at 7:30pm that evening for a $5.00 minimum donation (cash or check only).